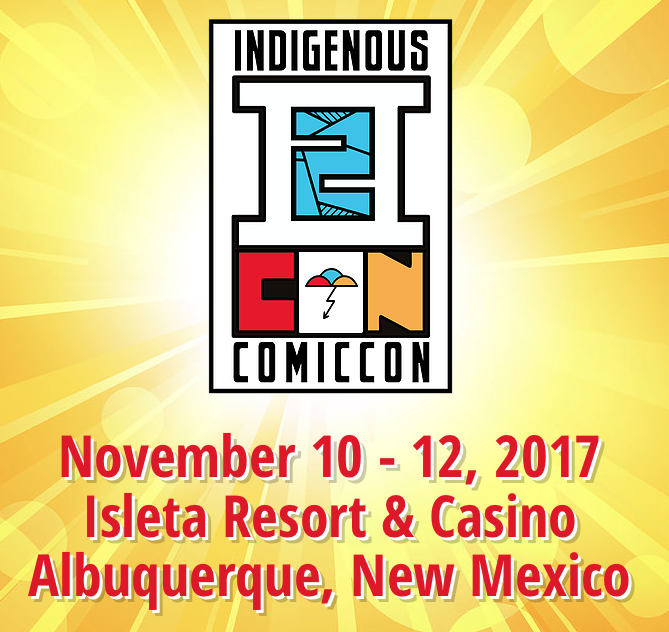 I'm really excited about November 10th for Indigenous Comic Con of 2017. This'll be the first comic convention I've been to that takes place at a casino. I'm wondering what that will be like. It'll be fun to see the cosplay. I have been hoping for an event like this for years. I enjoy anime/comic conventions, love the concept of self representation, and want to be connected to Natives supporting Natives. It's inspiring that there's an Indigenous comic convention at all. Growing up in Spokane City, I never imagined a comic convention dedicated to Indigenous people. Indigenous erasure is a tough issue and the positive representation that Indigenous Comic Con brings is significant. Representation goes beyond entertainment and art, but into the political, philosophical and social spectrums of our lives.